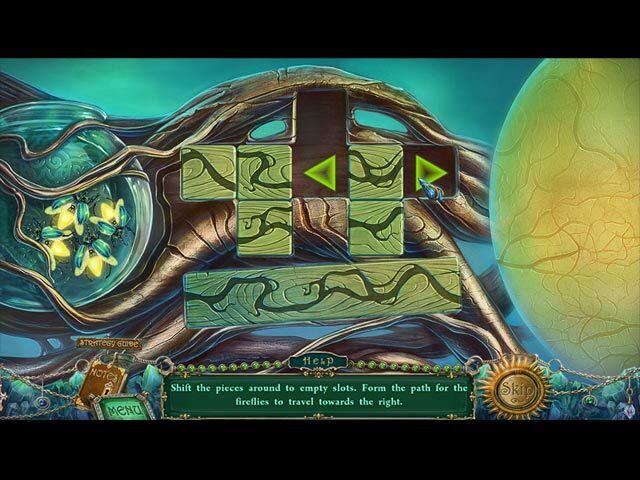 Rated 5 out of 5 by SparkleGlow100 from I love this kind of game HOPA with gorgeous landscapes, and details. Thoroughly engaging story. I loved this game from start to finish. There is no horror in this game - there is magic. This would safely land in the fairy tale category. This game entrances you with its well -constructed, glowing, night-gardens, outdoor scenery, and imposing but cozy castle. Butterflies, flowers, jewels and great lighting. Loved it. Hope I continue to find more like this one. This is my favorite type of game. I kept looking at the scenes, and going, “Wow, look at this!” I thought the balance was just right, the HOS (not too many), and the puzzles were interesting and varied. The adventuring part of the story was questy and well thought out. The story itself had that feel-good factor. The story is well described in the game description. Filled the whole screen, without getting that stretched look even at my max resolution of 1366 x 768. Rated 5 out of 5 by MissMidnizha from awww I LOVE THIS GAME AND I WAS HEARTBROKEN WHEN IT WAS DONE...WE NEED A PART THE BEAST SIDE OF IT. Rated 5 out of 5 by GypsyBeLoved from The ever changing Beast What a fantastic game! Within 10 minutes in the trial I bought the entire game. This game is beautifully done. Vivid colors, great mini games, wonderful HOS, and the story itself is fantastic. You start buy playing a daughter helping to save your fathers life. When he steals a caged golden nightingale. The beast told the father what would happen if he didn't meet the requirements, "Either you come back and serve me for life, or your daughter does by tonight, or die at midnight." While on this quest it changes. A female sorcerer is out to keep you from reaching your goals. Along the way you will meet some fun little creatures. The best part, this is a long playing game. One to play again and again. I highly recommend this game. Rated 5 out of 5 by neilskinut from just a fun game from ERS Another good game from ERS. The hint button is good. The sound and graphics are good. The HOS are fun and easy and the puzzles are not all that hard. Little running around but as you find items you pretty much now where they go. Good fun game. Rated 5 out of 5 by porkyfish from Yummy trifle pudding of a game! Loved this beautifully rendered game. 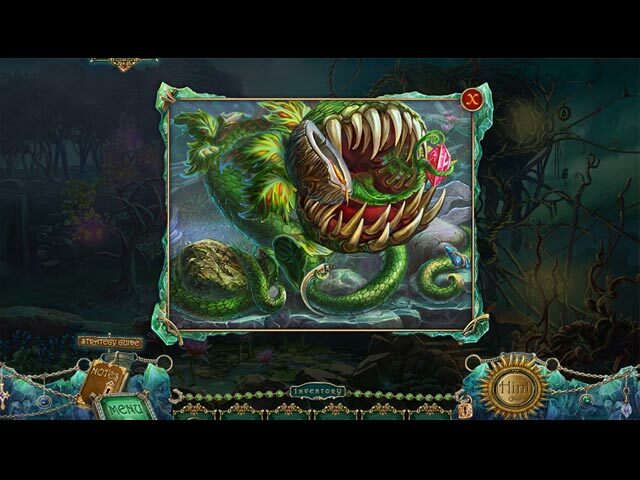 Layers of delight from the music score to the fantastical creatures . Original twists to an old beloved fairy tale. I am looking forward to a second helping to just savour it. I enthusiastically recommend this game! Rated 5 out of 5 by splash1234 from A nice game This is a fun game with cute animals, love the games with all those cute, and furry animals!!! The graphics are clear and lots of pretty scenery. Love the nightingale too. Theres lots to do. I bought the game and will play it again in a few months. Its nice to have all these games without all the scary stuff at times, sometimes CUTE is a nice change. Rated 5 out of 5 by deddu from Lovely Fairy Tale You are told a bedtime story by your Mother who is the heroine of the tale. She travels to wonderful places to save her Father and meets novel creatures along the way. 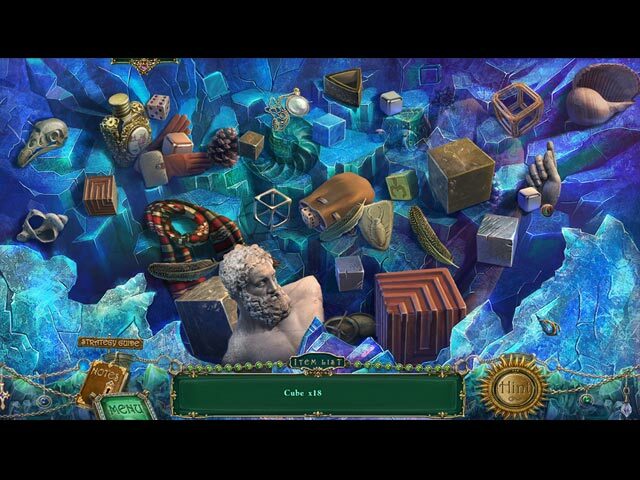 The story is fun; the hidden objects and mini-games are good. There are birds to collect and awards to gain. 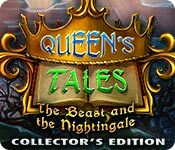 Rated 5 out of 5 by heartblob from Queen's Tales, The beast and the nightingale Brilliant , yet another triumph for ERS, quality that we always get for ERS, excellent graphics, hos excellent , Vo's not always fond of these but can be turned off, ( if you wish# music perfect, transporter map, hint refills quickly # if you use it !!) there is just one more thing to say, this game is a need to buy so go for it.